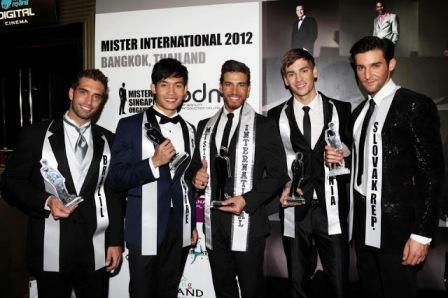 If Columbia is the Mister World 2012, Lebanon on the other hand is the Mr. International 2012. Ali Hammoud, a 23-year-old hunk model from Lebanon bested 37 other contestants to win the 7th Mister International title in Bangkok, Thailand, on Saturday, November 24, 2012. Ali is the 2nd Lebanese to win Mister International after Wissam Hanna‘s victory in 2006, which is also the first ever edition of this male pageant. Meanwhile our very own delegate Mark Gutoman failed to enter the Top 16.